Macias Eye Medical Centers are full-service eye clinics providing skilled care in ophthalmology and optometry. Our services are available in 3 convenient locations in the Fontana, Riverside, and San Bernardino CA communities. Routine eye care can protect and enhance your vision at work, in sports, and in daily life. During vision exams, your doctor of optometry or ophthalmology examines visual tracking, binocular vision, acuity, and other eyesight characteristics. We look at the internal and external surfaces of your eyes and discuss specific risk factors based on personal and family history. We also screen for eye diseases, to hopefully detect problems before symptoms develop and initiate treatment sooner. Lastly, we measure your vision and fit you for prescription eyewear as needed, including glasses and sunglasses. In order to have comfortable and appropriately fitting contact lenses, we recommend a contact lens exam with an eye doctor. These exams allow us to closely evaluate factors which may impact the fit of your contacts, including eye surface and shape. 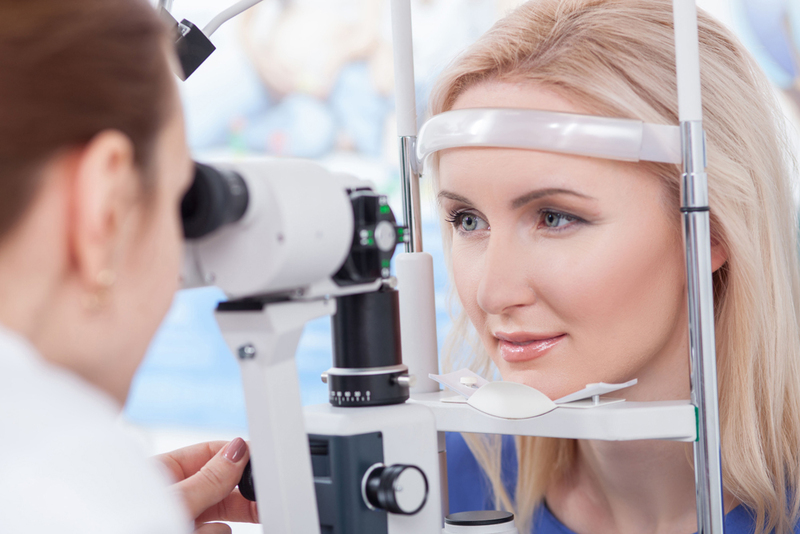 We can also assess you for hard-to-fit contacts including scleral lenses. Hard-to-fit contact lenses may be desirable if you have a certain eye health condition that makes regular contact lenses feel uncomfortable. The ophthalmologists at our clinics have advanced training in a variety of subspecialties, which enhances our diagnostic and therapeutic services. Common conditions we manage include glaucoma, cataracts, diabetic retinopathy, macular degeneration, computer vision syndrome, amblyopia (lazy eye), conjunctivitis (pink eye), and refractive errors like nearsightedness and farsightedness. All surgical and pre/post-operative services are provided with experienced staff members using the most innovative and advanced technology to improve outcomes! If you're looking for an eye doctor you can trust, contact the Macias Eye Medical Centers now to schedule an appointment! Contact our San Bernardino office at 909-885-3933, our Riverside location at 951-359-0500, or our Fontana office at 909-427-8900.